It has been a long, agonizing wait for India, but it’s finally over. After 12 days of sporting competition, India finally has its first medal at the Rio olympics. 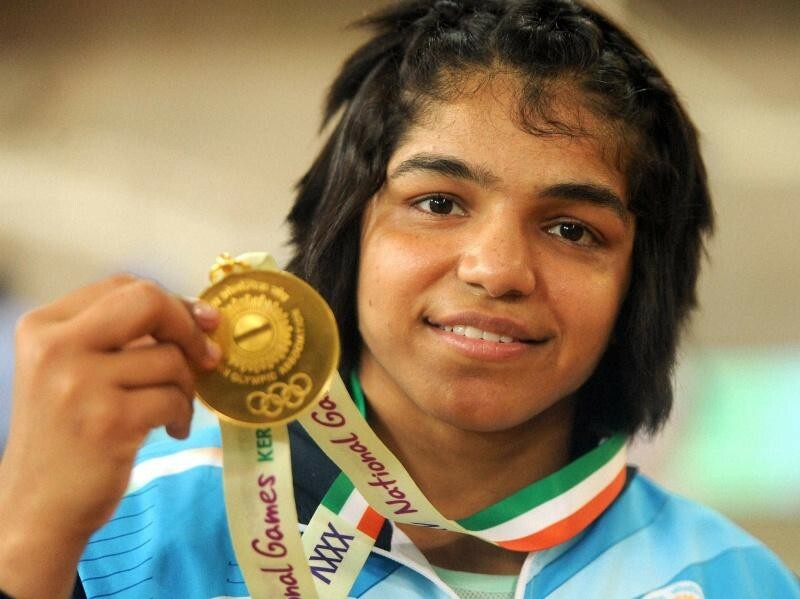 Haryana wrestler Sakshi Malik won bronze at the Women’s Freestyle 58 kg, beating Aisuluu Tynybekova of Kyrgyzstan. Malik scripted a remarkable turnaround in her bout. She trailed 0-5 after the first period, but managed to win quick points in the last 90 seconds to eventually win 8-5. Malik had earlier lost in the round of 8, but had qualified for repechage on account of her opponent having reached the finals. She then beat Orkhon Purevdorj of Mongolia, before beating Tynybekova to secure the bronze. In between, she had to witness the upsetting scenes of fellow Indian wrestler Vinesh Phogat’s horrific injury as she tore her ACL ligament in a match with Chinese wrestler. Twenty three year old Malik is a seasoned wrestler, having won silver at the Commonwealth Games in 2014, and following it up with a bronze in the Asian Championships in Doha in 2015.